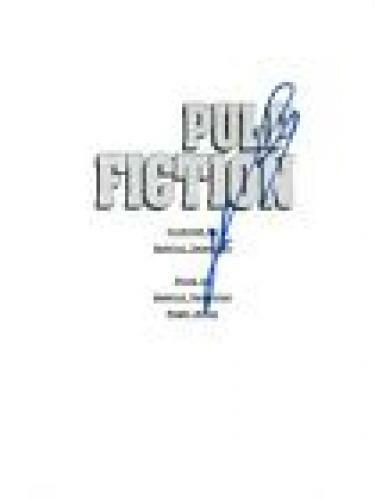 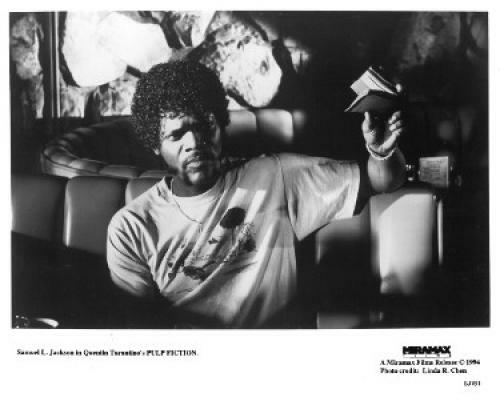 Pulp Fiction is a 1994 American crime film known for its rich, diverse dialogue with ironic mix of humor and violence. 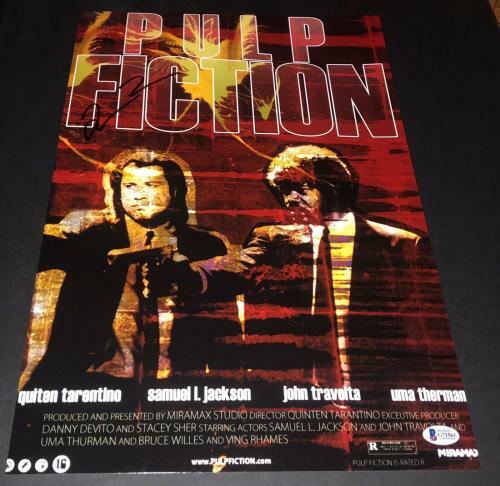 Directed by the infamous Quentin Tarantino, Pulp Fiction’s story revolves on the lives of two mob hit men, a boxer, a gangster’s wife, and a pair of thugs intertwined in four tales of violence and redemption. 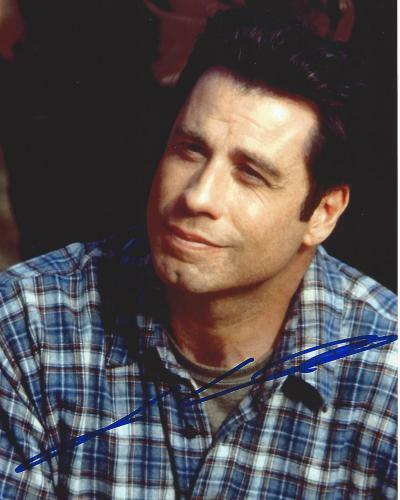 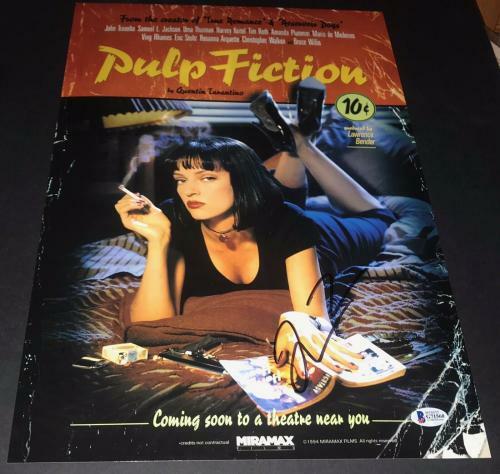 Academy award winner of Best Original Screenplay and nominee for Best Picture, this crime-drama hit movie starred John Travolta nominated as Best Actor, Samuel L. Jackson as Best Supporting Actor and Uma Thurman for Best Supporting Actress. 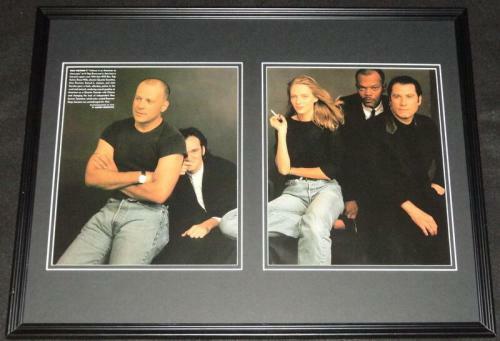 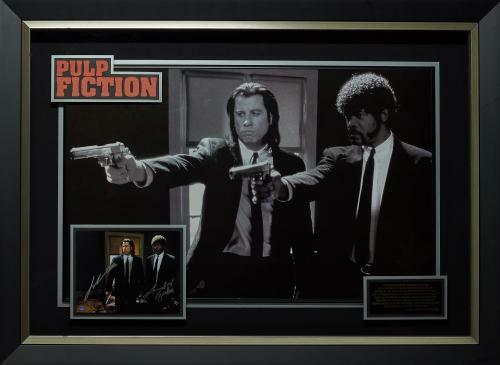 As a classic 1990s movie, Pulp Fiction memorabilia is valuable for every movie buff’s collection. 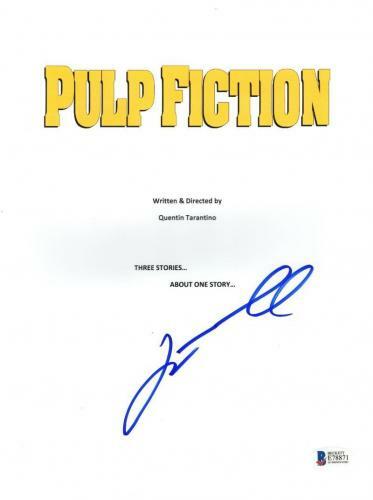 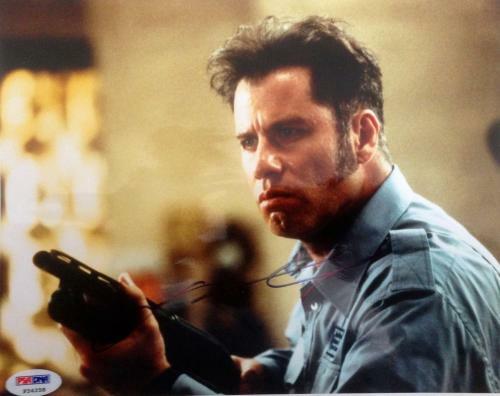 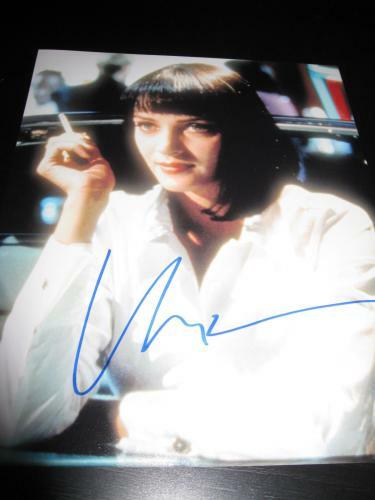 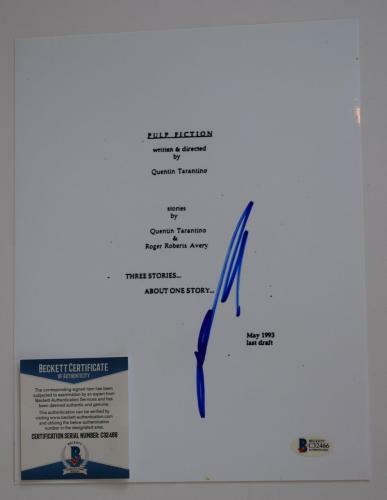 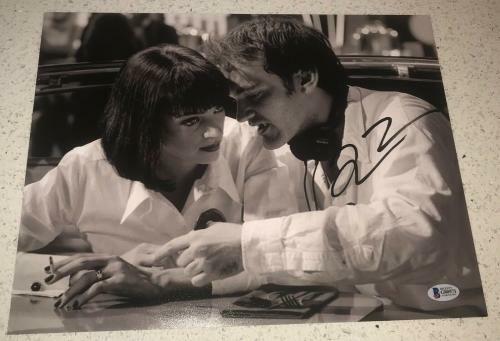 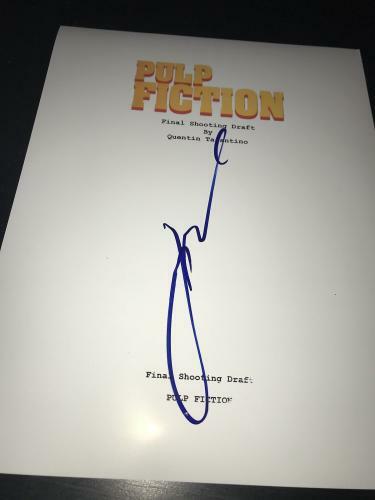 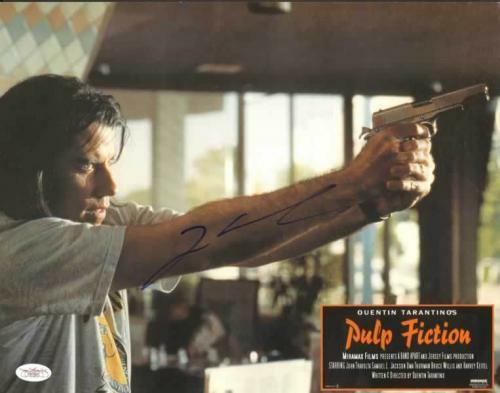 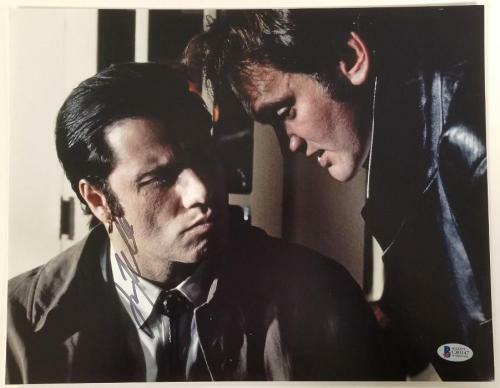 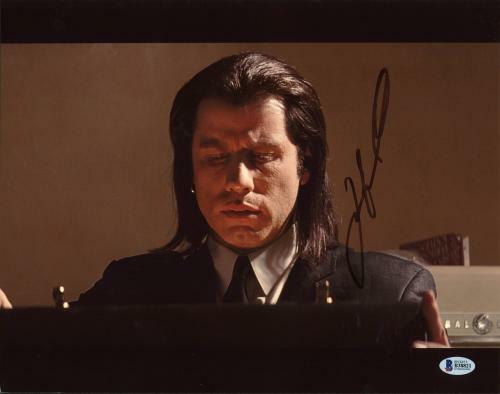 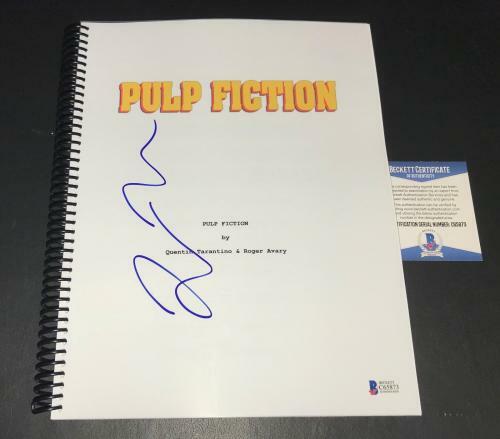 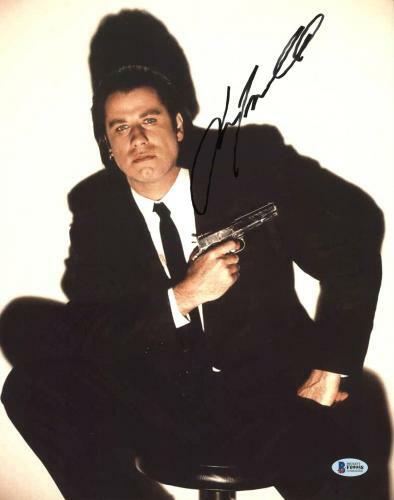 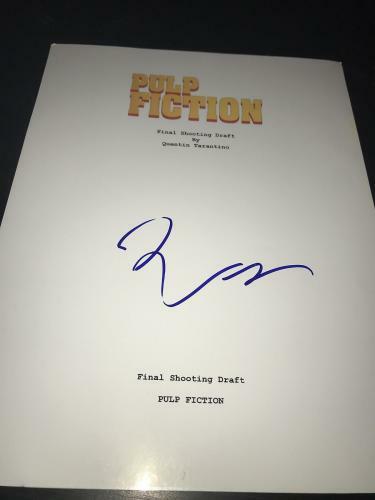 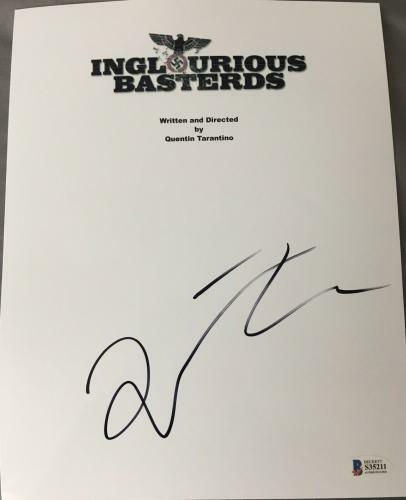 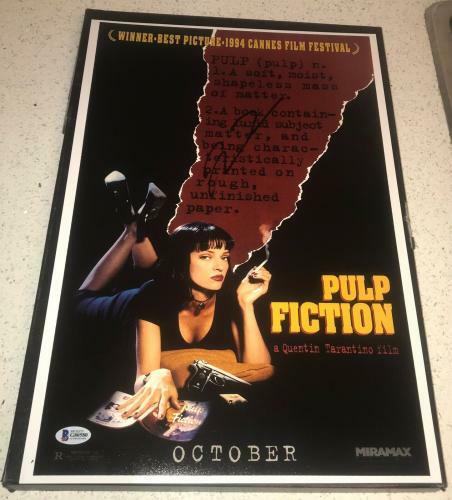 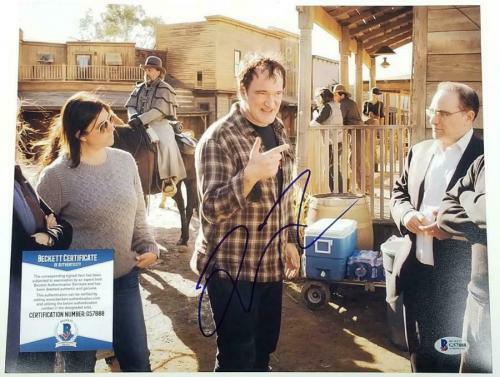 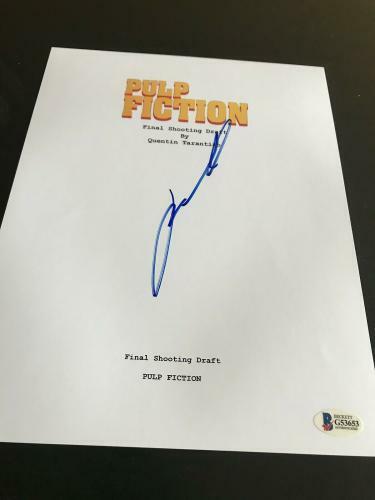 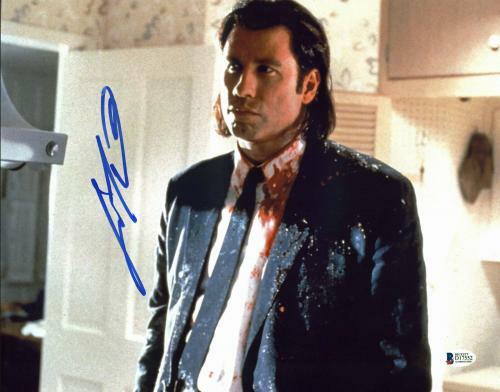 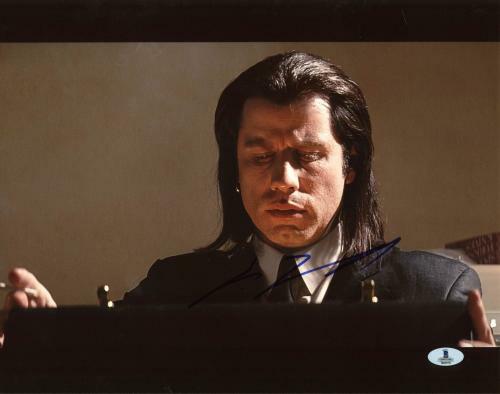 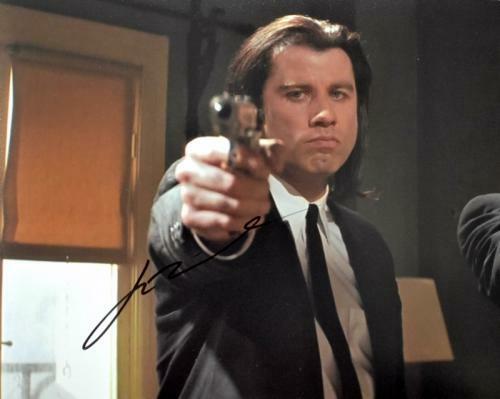 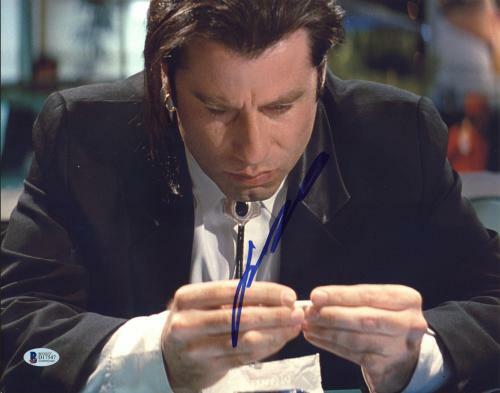 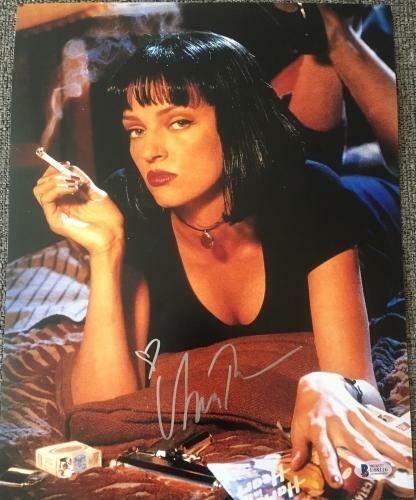 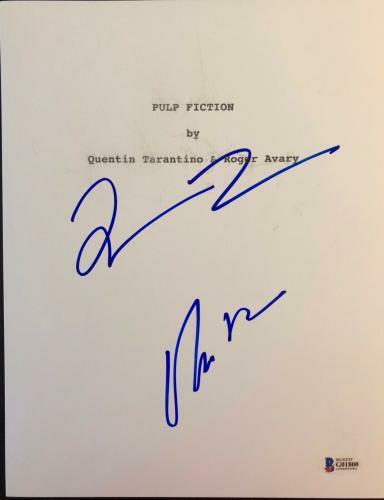 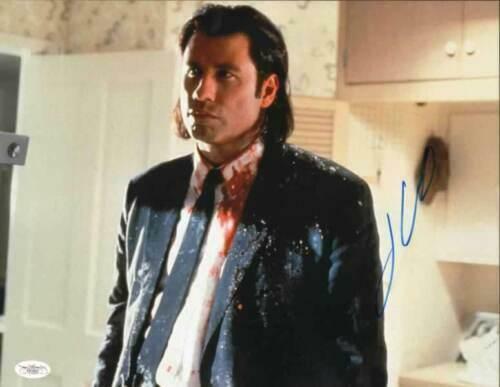 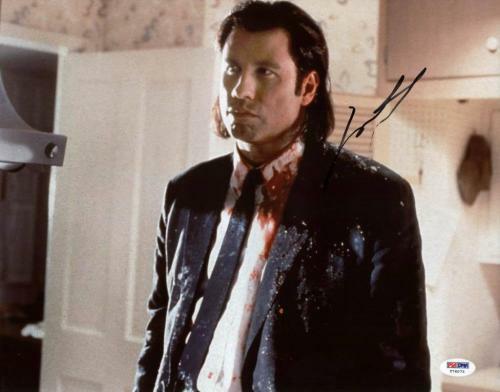 From pictures signed by director Quentin Tarantino to Pulp Fiction signed movie posters and signed Pulp fiction scripts, there is only one place to come for your Pulp fiction memorabilia needs. 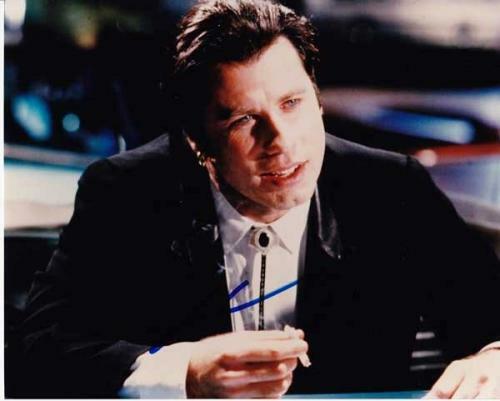 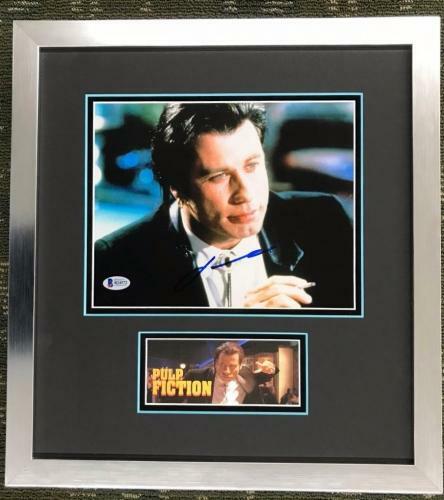 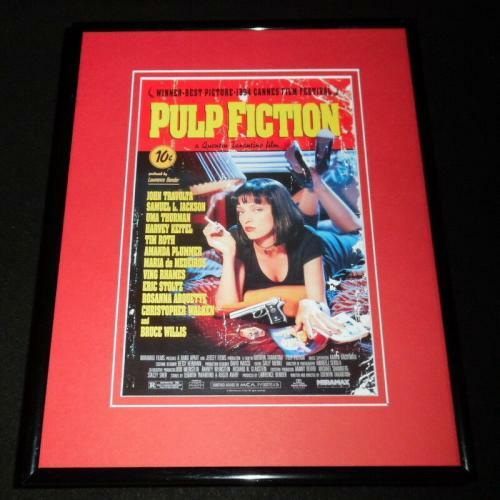 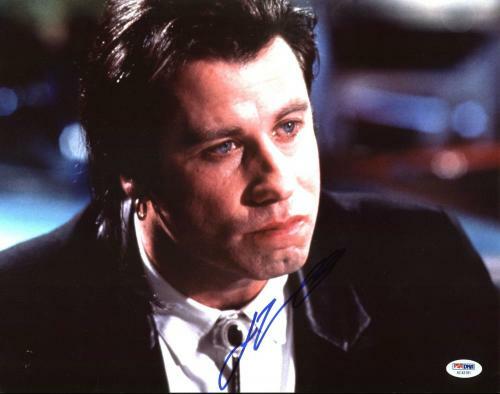 Enhance any home, office or man cave with the addition of rare Pulp Fiction memorabilia, the ultimate collectible for movie fanatics. 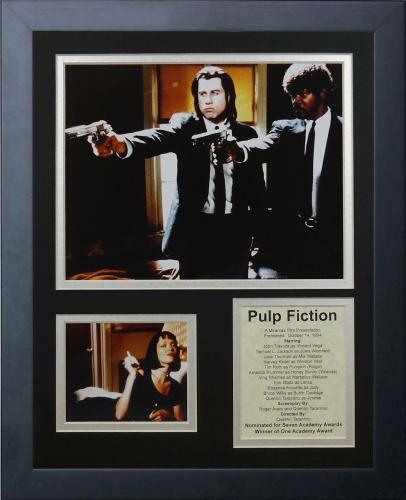 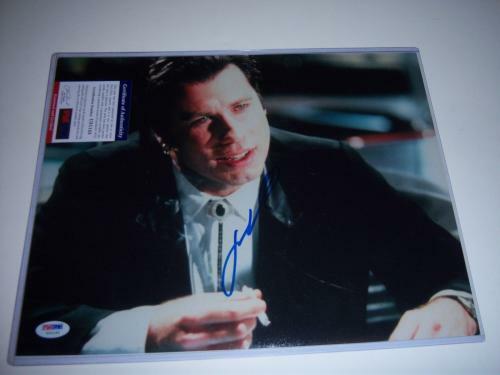 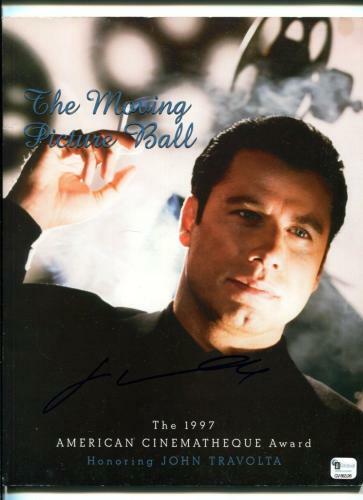 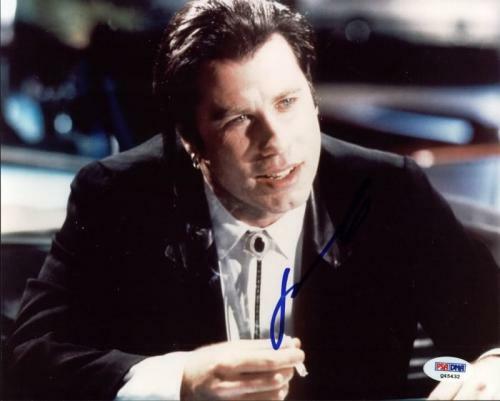 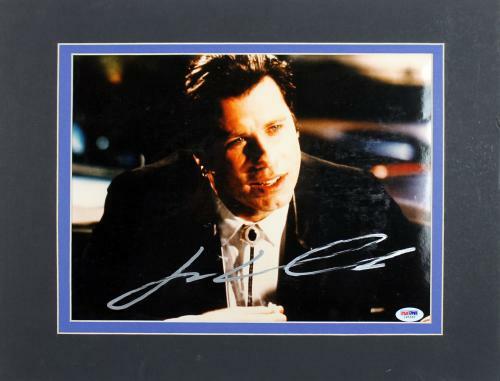 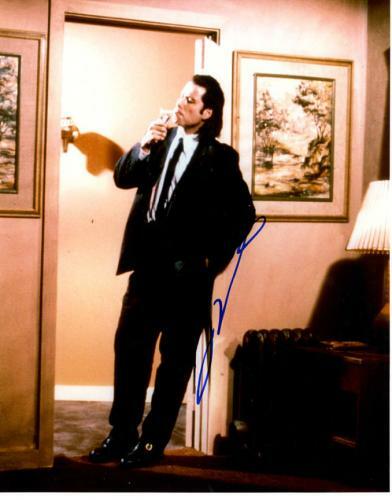 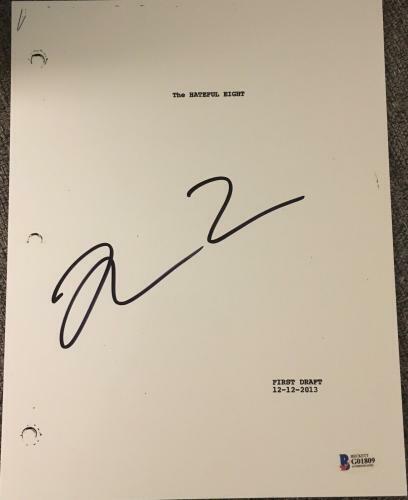 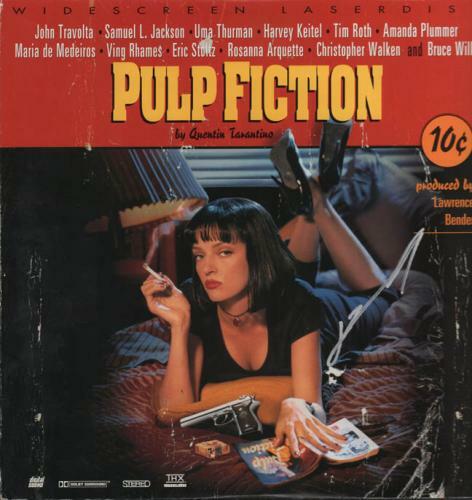 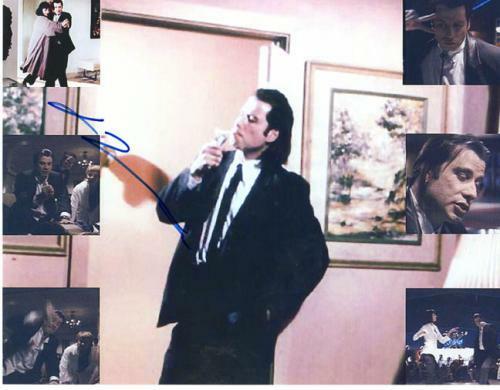 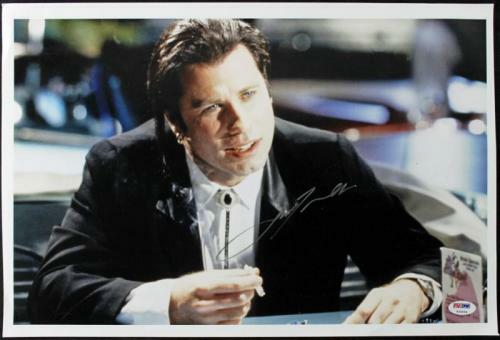 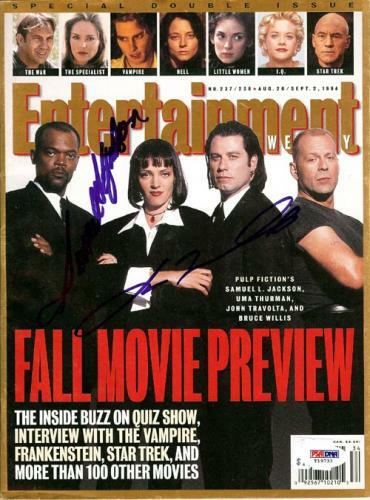 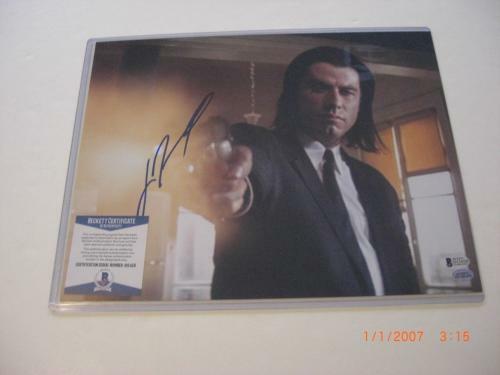 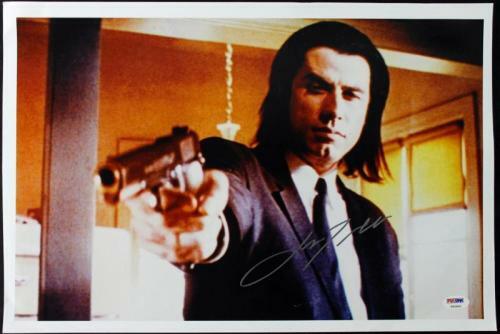 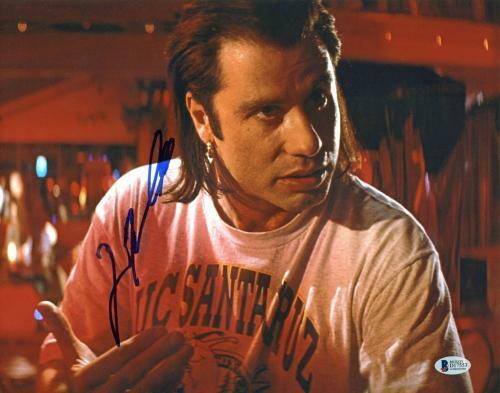 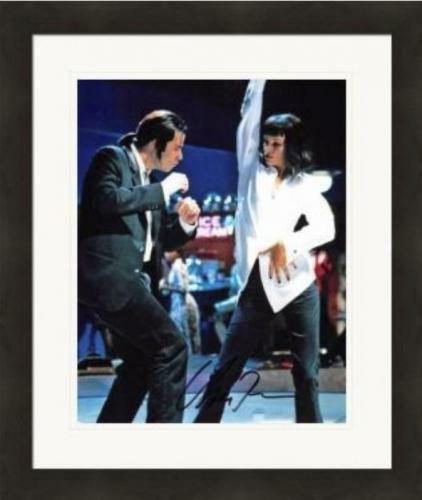 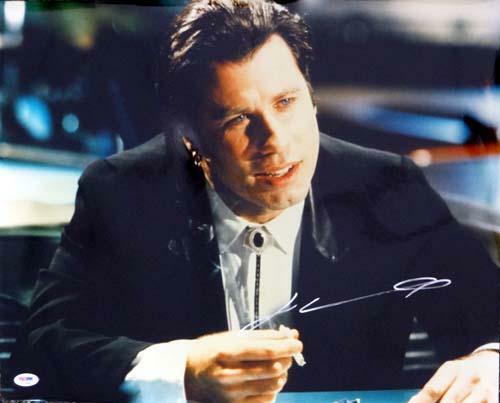 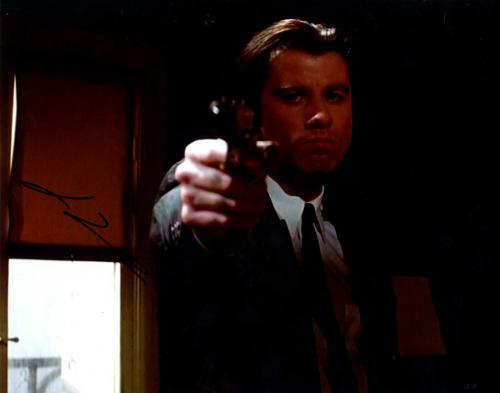 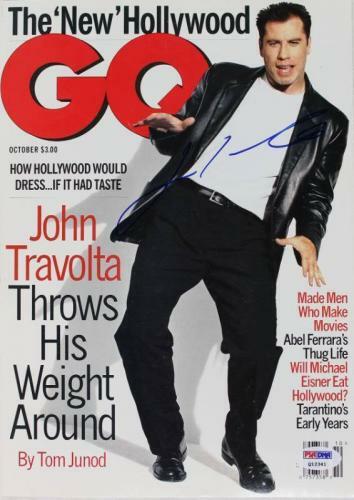 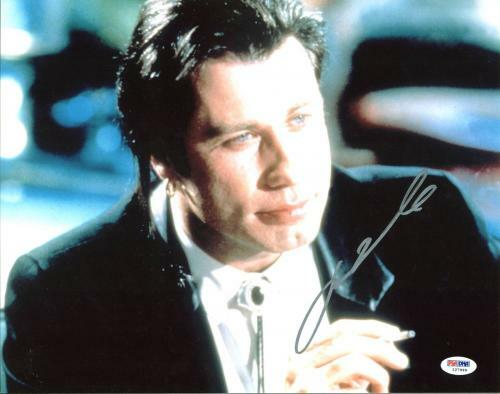 Invest in movie memorabilia that is sure to add value to your collection; purchase Pulp Fiction memorabilia today! 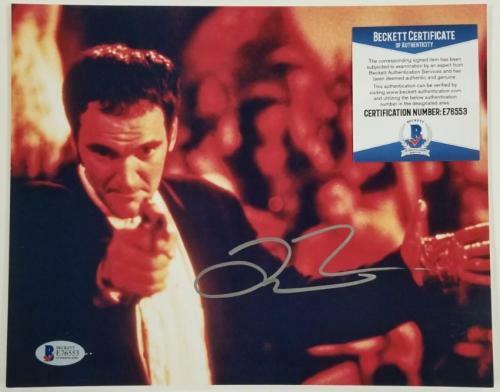 Be sure to browse the product offerings for other critically acclaimed mob films, like The Godfather and the TV series The Sopranos.